Served as qualification for Ladies World Cup World Women Ladies 2015. Finals played at Thong Nhat Stadium, Ho Chi Minh City. Game date time team 1 score team 2 HT att. 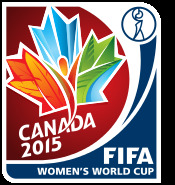 Japan, Australia, China, South Korea and Thailand qualified to Ladies World Cup World Women Ladies 2015. First 2 progress to 1/2 Finals. 3rd places progressed to 5th place Play-Off. played at Thong Nhat Stadium, Ho Chi Minh City. played at Go Dau Stadium, Thu Dau Mot.